We are all familiar with “bad” bacteria – those nasty guys that cause infections and make us feel terrible. Well it turns out that there are also “good” bacteria, and we each have billions of them within our own bodies. In fact, there are actually 10x more bacterial cells in your body than human cells! Probiotics help support these beneficial bacteria in your system. These bacteria are vital for healthy function of our digestive, immune, and hormonal systems and virtually every system in our body. These bacteria can get destroyed by certain diseases and medications, like antibiotics, which lead to long-term imbalances in our gut bacteria that can have significant effects on our health. Luckily, there are probiotic supplements that can help you build back the right kind of bacteria for your system. 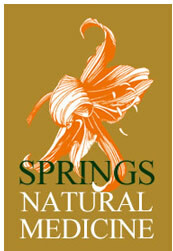 The naturopathic doctors at Springs Natural Medicine can help you select a high-quality probiotic supplement with the right types of bacteria for your specific condition.